"Who The F*ck is Syntheme?" we hear you cry - and lord knows we wish we knew because this material is HOT! OK so rumours about Syntheme's identity range from the usual Aphex Twin stories to some chick going under the AUNT ACID moniker, and of course there's that Myspace profile with a few giveaway pics (or are they just there to throw us off the scent?) - but regardless of all the shenanigans, what we do know is that Syntheme is fast becoming an ACID legend. 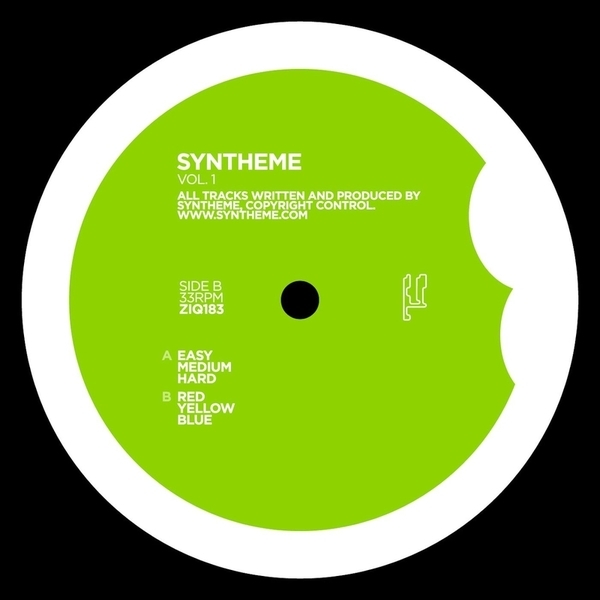 Yes, Syntheme has it all - squelchy acid lines, f*cked up disco samples, adrenaline-fuelled dayglo RAVE styles and a righteous line in late night JACKIN. Is this twelve any good? By golly - It's the sh*t!!!!! Or in other words - it's the f*cking don daddy. Buy!